Added on August 25, 2017 by Mitchell Wright. 106 Green is proud to present Play It as It Lays, a solo exhibition by Cortney Andrews. 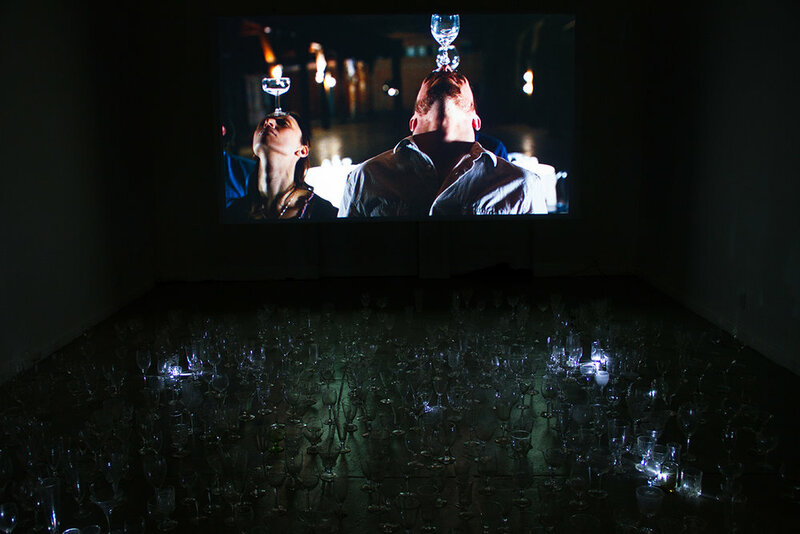 Her recent body of work investigates the social construction of power and desire through a choreographed game. 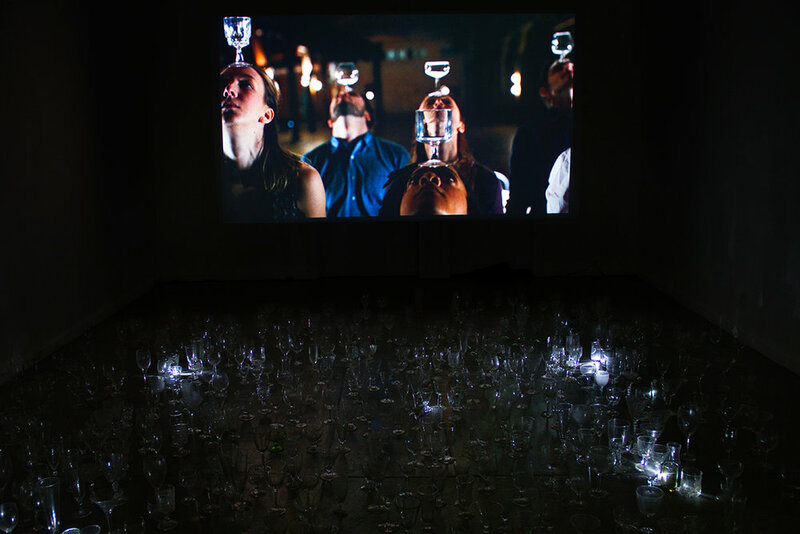 The installation at 106 Green consists of a video, photographs, text, chairs, and glasses. 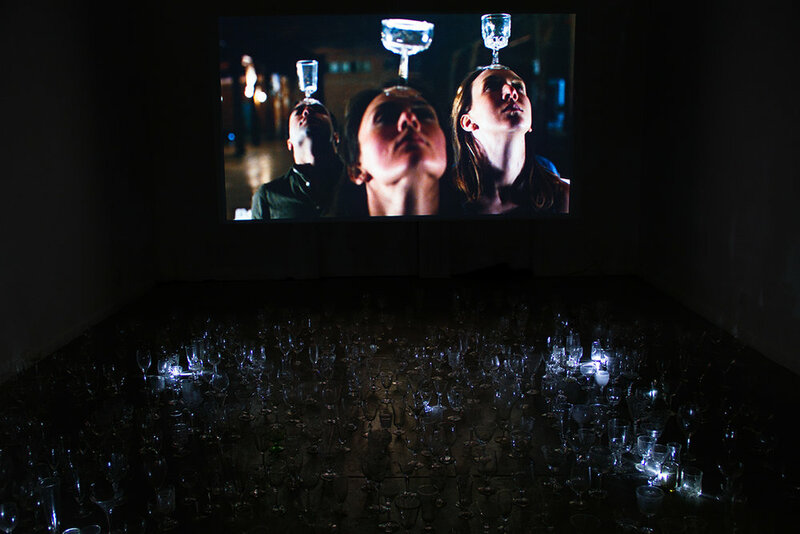 In the video Play It as It Lays, Andrews’ subjects initiate connection with one another through a mysterious game, balancing glasses precariously on their foreheads. When an outsider interrupts the game, the unspoken rules and collective identity of the group are challenged. The outsider exposes the vulnerability of herself and the others, while acknowledging both the power and the alienation inherent to transformative actions. 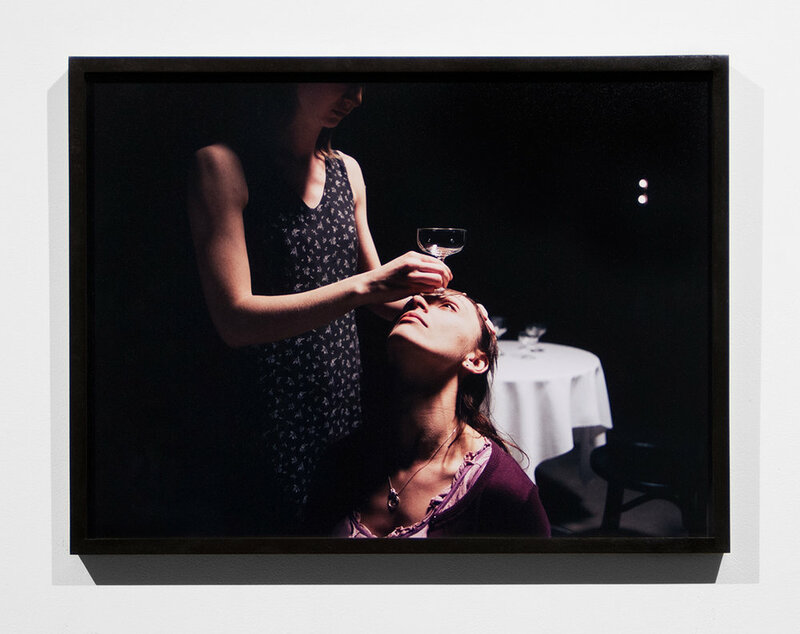 The final frames reveal the artist photographing the scene from the shadows– a sequence that underscores the (female) artist as an outsider, while also placing the viewer in a similar position. Throughout the exhibition, boundaries are blurred. 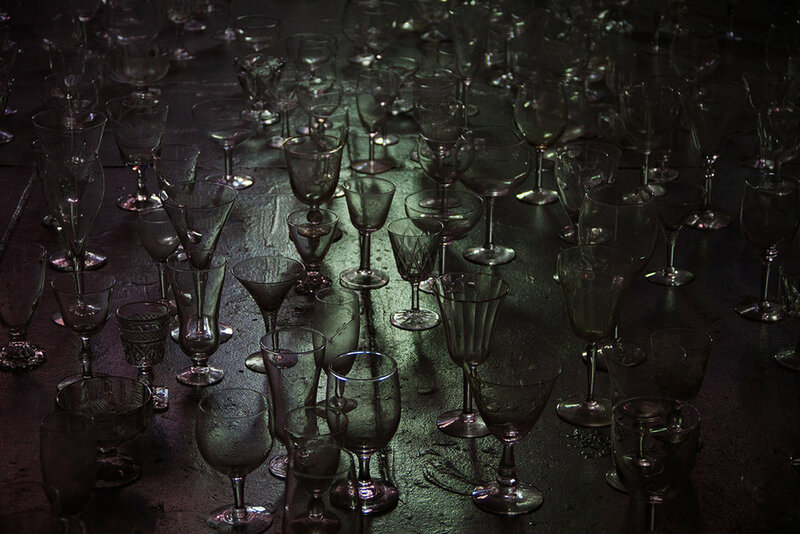 Andrews covers the gallery floor with the same glasses that appear in the video, further dissolving the separation between performer and audience, observer and observed, dominant and submissive. 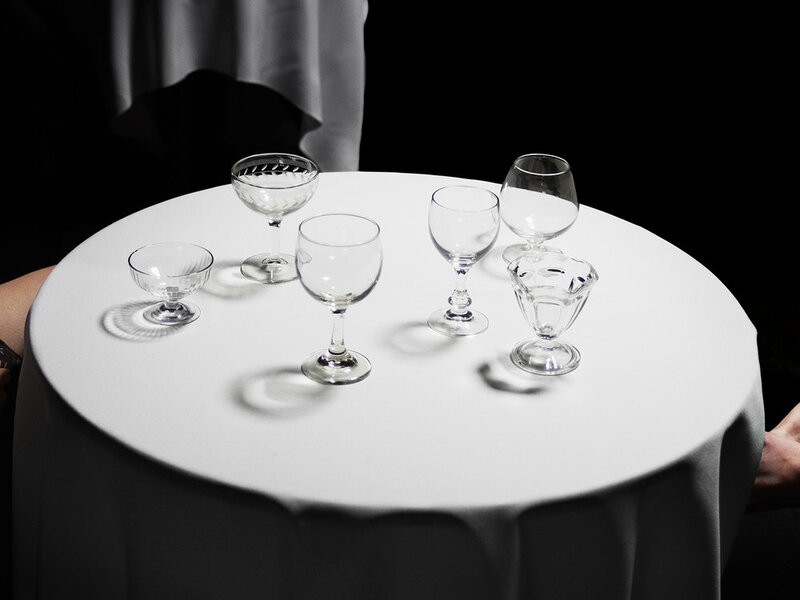 Play It as It Lays is both a reference and homage to Joan Didion’s novel of the same name. Mirroring Didion’s protagonist, Andrews poses an existential question: Despite overwhelming awareness that life is a game composed largely of uncertainties, arbitrary rules, empty desires, false exteriors, and meaningless conformity…we continue to play. Born and raised in Kansas, Cortney Andrews received her MFA in Photography from the Rhode Island School of Design. She has exhibited in New York, Detroit, London, Los Angeles, and throughout the US, and staged performances at the Los Angeles County Museum of Art, Streb Lab for Action Mechanics and Jack Hanley Gallery. She is the recent recipient of the Franklin Furnace Fund Grant for Performance Art. Her work can be found in collections, including The Nelson-Atkins Museum of Art. Andrews is the Co-founder and Director of Offshore Residency, a traveling artists residency program on a sailboat. She currently lives and works in Brooklyn. Play It as It Lays is supported through a Foundation for Contemporary Arts Emergency Grant. 106 Green is located at 104 Green Street in Greenpoint Brooklyn. Our hours are on Saturdays from 12-5 and Sundays from 12-5.